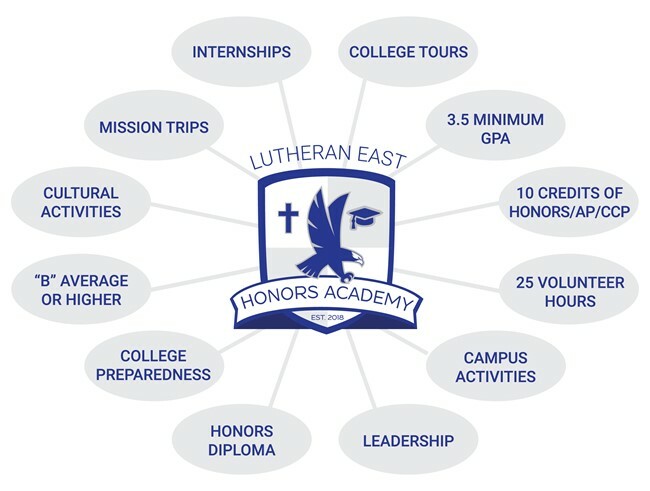 The Lutheran East Honors Academy is a rigorous Academic Academy whose goal is to take driven, high-achieving students and push them to become leaders in their school, family and community. Students will have the opportunity to partake in many cultural events around the Cleveland area, serve the greater community and world, interact with community leaders, and intern with dedicated professionals while taking a challenging course load. For a full program description, click here.